This can be used as a flip book. 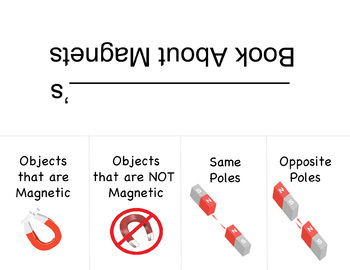 Fold the paper in half so on the front there is ______'s Book About Magnets. For the other three lines, cut only the front side (creating a flap). Students can write on the inside and decorate any way they would like!